There’s a new scam making the rounds and it’s a right cheeky one! It’s hard to detect but easy to avoid if you’re in the know, so make sure you’re informed and not handing out access to your computer to any wrong’uns. Financial Fraud Action – set up, kinda like it says in the name, by the financial services industry to fight against fraud – warned yesterday of a new type of attack that’s on the increase. Fraudsters have started impersonating big companies, claiming to be fixing a slow connection in order to gain access to victim’s computers. 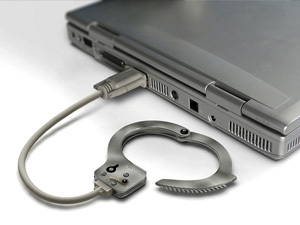 The FFA said scammers have been “impersonating internet service providers, computer companies, banks, software firms and law enforcement or claiming to be calling as a result of recent high-profile data breaches before saying there was a problem with the victim’s computer or internet service.” The would-be attacker then asks for remote access to the victim’s computer so they can help ‘fix’ the problem, and compensate them for the issue. Once you’ve handed over remote access to your computer, they’ll say you’re entitled to compensation and will ask you to log into your bank account. They’ll actually direct you to a fake screen where you put in your details and make it look like the money’s been transferred, when actually they’ve just nicked a load of your clams. FFA reckon that part of the scam is preying on public fear over recent data breaches like Talk Talk, and taking advantage of that to make them easier targets – it’s pretty low and potentially a costly mistake to those who don’t realise that there are people out there who are doing it. Don’t let them win. To find out more about the security solutions on offer at UKFast take a look at our website or give us a call on 0208 045 4945!